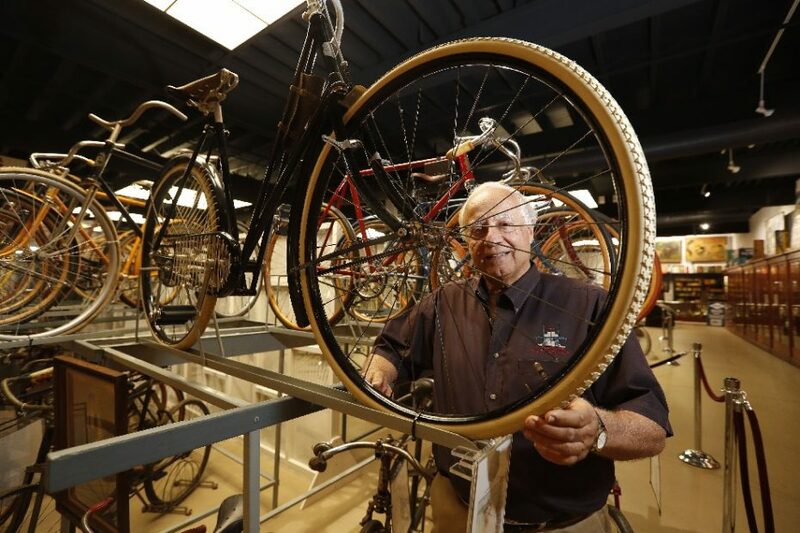 For nearly half a century, no one has seen the vintage bicycles and rare bike memorabilia that Jim and Mary Ann Sandoro collected. That changes Saturday. When the museum at 263 Michigan Ave. displays the couple’s bicycle collection. Including the bikes they purchased in 2013 from the former Pedaling History Museum in Orchard Park. The Sandoros founded and built the Buffalo Transportation/Pierce-Arrow Museum. Its focus has been on automobiles. And more recently, the Frank Lloyd Wright Filling Station. This is my default ride. I have several options to lengthen the ride if my legs and the weather cooperate. I won’t be listing every ride on the site, but will post special rides in the future. This is where I belong. the open road, the open bike path, the open whatever. Wanderlust keeps calling and it’s getting harder to say no. One of my favorite things about bike trails are the animals I see along the way. Here are some from my last few trips. The goat wasn’t too sure about me. While visiting the KOA I decided to take Mr. Ed on an adventure. While looking at the map for potential routes I spotted a destination that I could not resist; The Buena Vista Landfill. A garbage dump with an alleged beautiful view? I had to go. Unfortunately Whiskey Hill had a no trespassing sign. Ah sobriety! You aren’t really in the country till you pass an egg stand. Well the name wasn’t all that appropriate but I did see some sights and was just a few seconds too slow to get a picture of an eagle.